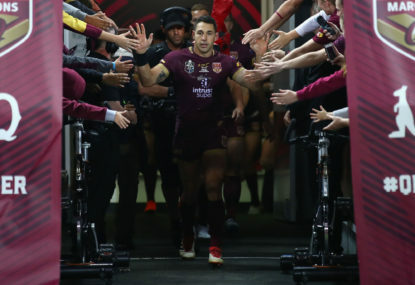 The Queensland Maroons have sent Billy Slater out a winner, with an 18-12 victory in Game 3 not enough to claim a series win, but enough to avoid a sweep and farewell their champion fullback on a high. In a match that will surely go down as one of the all-time rugby league classics, Queensland dominated the first half and scored the first eight points, only for two late tries by the Blues seeing them take a surprise 12-8 lead into the break. The Maroons held strong in the second half, however, putting ten unanswered points on the board to give 51,000 fans in attendance something to cheer about. Billy Slater was awarded the man of the match and player of the series awards for his performance, although it was New South Wales who were able to celebrate at the end after securing just their second series win in the last 13 years.